​Promo videos for new design home flipping show, presently in production with partner Steve Cederquist of Flip or Flop. 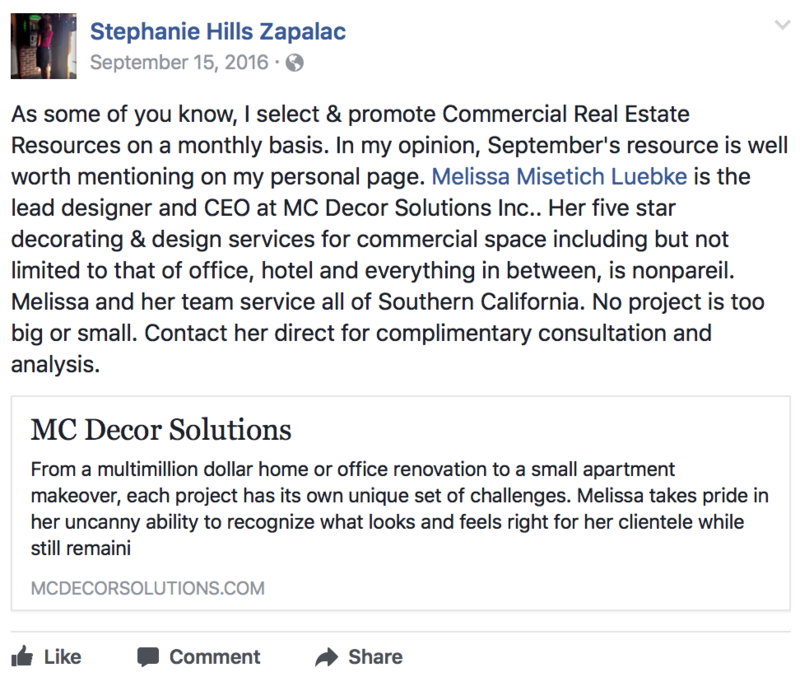 I've had the pleasure of working with Melissa on several projects for two of my homes. She is extremely talented, energetic, well organized and efficient. In a month's time, she transformed my daughter's room from a little girl's bedroom (furniture, paint, bedding and lighting) to a gorgeous teenage girl's room. Her choice of color and fabrics were both stunning and creative. Melissa has the ability to look at a room and know exactly what it needs. She has impeccable taste and was able to mix my traditional, eclectic and modern furnishings. When selling our home, she came in and added beautiful touches throughout to make it perfect. Though we are now on opposite coasts, Melissa has continued to assist with the decor of our new home through pictures and video. When I couldn't find lighting for our kitchen, Melissa found the perfect pendants. She did the same for a powder room mirror. She suggested paint colors, window treatments and helped with placement of furniture and art. I always enjoy working with Melissa. She has a true passion for what she does. At MC Decor Solutions we believe an eye for quality design and craftsmanship is key to making a house a home.